The Hobbit is one of the most widely read and best-loved books of the 20th century. Now Professor Corey Olsen takes listeners deep within the text to uncover its secrets and delights. Chapter by chapter, he reveals the stories within the story: the dark desires of dwarves and the sublime laughter of elves, the nature of evil and its hopelessness, the mystery of divine providence and human choice, and, most of all, the transformation within the life of Bilbo Baggins. I really should have paid more attention but this is the ABRIDGED version of The Hobbit, I only realized this because of the number of chapters. I went back and looked at the description, it does not mention ANYWHERE in the description that this is the abridged version. Abridged is written in tiny print along the thumbnail of the title. I feel like audible should clearly mark abridged vs unabridged. The Hobbit is a rather short book to begin with, it didn’t really NEED an abridged copy. Do not buy this version buy the full version! Martin Shaw is perfectly cast as the narrator for this abridged version of The Hobbit. He reads with great characterisation, giving each their own voice and personality - no easy feat with such a large ensemble cast to portray! I love that Bilbo has a West Country inspired accent (by no means the full Wurzel) which reveals and speaks to his home-loving nature and gentleness while not at all seeming dumb. Some may be disappointed that this is only an abridged version, but I can find to reason to fault it. 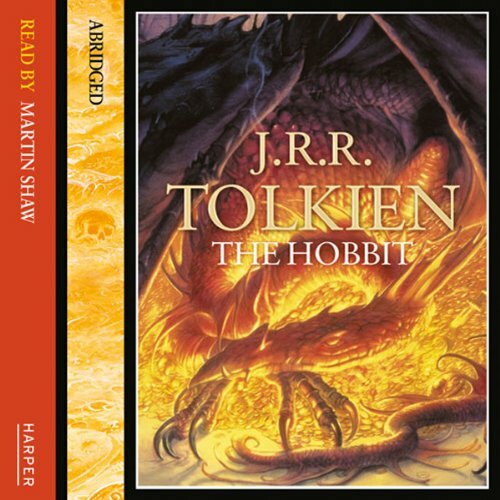 Highly recommended, for the new listener to Tolkien's works, or for the seasoned fan looking to return to the Shire. Yes!J.R.R. 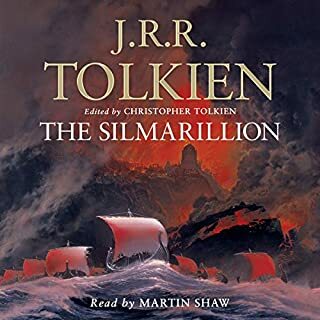 Tolkien is the best writer out there and Martin Shaw is the best reader of his work. What does Martin Shaw bring to the story that you wouldn’t experience if you just read the book? His inimitable voice and ability to bring Middle-Earth and all it's riches to life! J.R.R. Tolkien shall live forever! GREAT BOOK RUINED BY SKIPPING OF STORY! If you could sum up The Hobbit in three words, what would they be? Have you listened to any of Martin Shaw’s other performances before? How does this one compare? My children and I enjoyed this very much and would recommend it. It is read by one person rather than multiple readers, but this was not a problem, rather the narrator was excellent. Not quite what expected but appreciated. I watched the movies before reading the book. I appreciated Tolkien enthusiasm for poetry and old school English. I did however think that Hollywood's transformation of the novel and addition of characters and happenings in the tale made it 100 times more fascinating and gripping. The performance of the narrator was good but I didn't like how he read Smaugs part. A mighty dragon should have more of a deep bellowing voice then a snake like hiss. I think if one read the book first they would be delighted in the movies. This is my first Audiobook, and I am currently on my fourth hour and I am absolutely loving it. I wish I could find another book that is as good as this one. I have looked around and can't seem to find a book that has a great adventure with diferent races like dwarfs etc,... I looked at the LOTR however when I listened to the sample that total put me off of Dramatised versions, the background music etc is terreble. The Hobit is fantastic and I highly recommend it, it had a great adventure, many diferent races, and the nerrator just puts the cherry on the top. 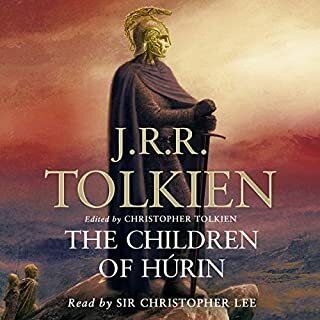 Though seemingly somewhat shorter than others, and missing sme of the Tolkien wit from those versions, this is an excellent version of the hobbit and should appeal to any Tolkien fan no matter what the age. Listened to this in the car with the kids (8 & 13) & we all loved it. 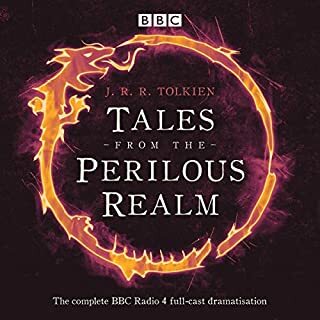 In this abridged version the story cracks along at a good pace & the narration by Martin Shaw is just right (it also has no singing which is a big plus!!). I usually buy unabridged books but having skimmed most of the songs sections while reading The Hobbit (over the years) felt that I did not really want to listen to all the songs/rhymes etc. included in this book. 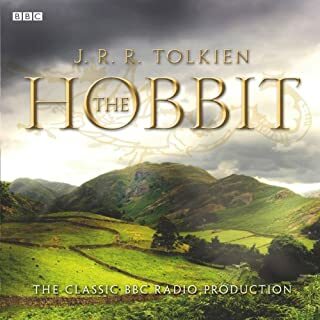 I love The Hobbit and this recording was exciting and wonderful to listen to at bedtime or while travelling. None of the essence of the adventure is lost and I would really reccomend this book. My 14 year old son enjoyed it too. What made the experience of listening to The Hobbit the most enjoyable? Martin Shaw masterclass. I'd have Shaw and Roy Dotrice reading all my books if I could! Great ending to the story.. 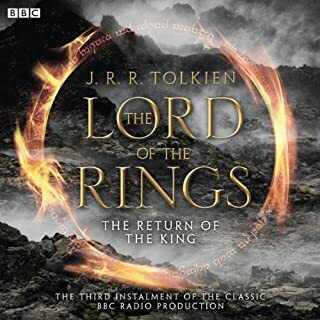 I loved every minute of this book on audible..
Martin Shaw makes a great storyteller, I enjoyed his interpretation and the original version bears comparison against the film trilogy. the hobbit is a fantasy story, but it is not an epic tale; its quite a simple story, but one you cant help but love. it is essentially a children's book, and is not as intense or dark as the lord of the rings, but it still draws you in as an adult. it offers up lighthearted humor with a fun and captivating story- and also there is Gollum to enjoy! It was fantastic to be able to listen to Hobbit in the car, my busy life style doesn't allow much time for sitting down with a good book. So lots tending to the story was fantastic for me and I love the way it was read, you were able to imagine the story unfolding before you. This was a 'must read' book for my 10-year-old son, so we decided to listen to it instead. I'd forgotten how rich and engaging the story was. Great to revisit it again! this is a book everyone should have hear, read and share with all the family. Have a listern it will take you on a far away journey. Great narration. It's a pity that the book is abridged as then it would be perfect! 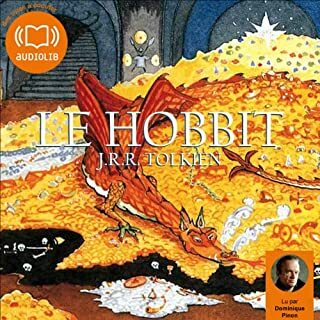 i have read the Hobbit many times growing up and listened to this exact audio on tapes as a kid. The story is still just as good. Somewhat less of an information overload like LOTR books but no less enjoyable. Great edition and presentation. I love Martin Shaw and his reading of this was great.